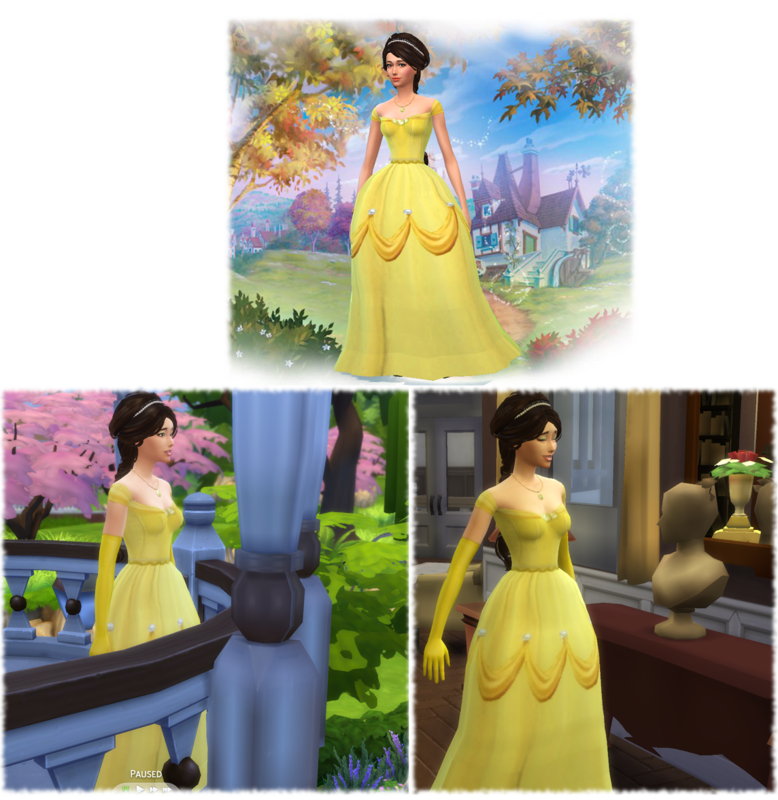 This is my attempt creating Belle's Ballgown in Beauty and the Beast! You can download it here(Mediafire). 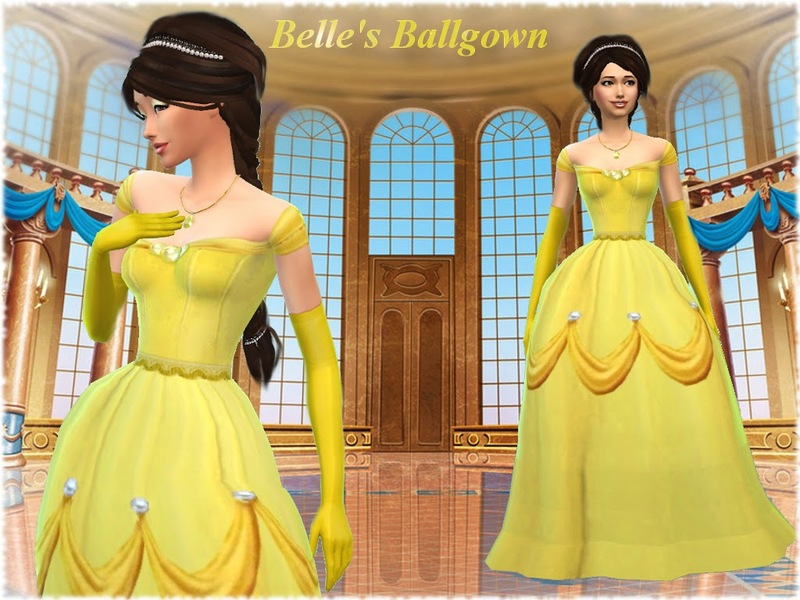 The mesh is a new one I made from small modification from Kiara's Rococo Dress Conversion for Sims 4. 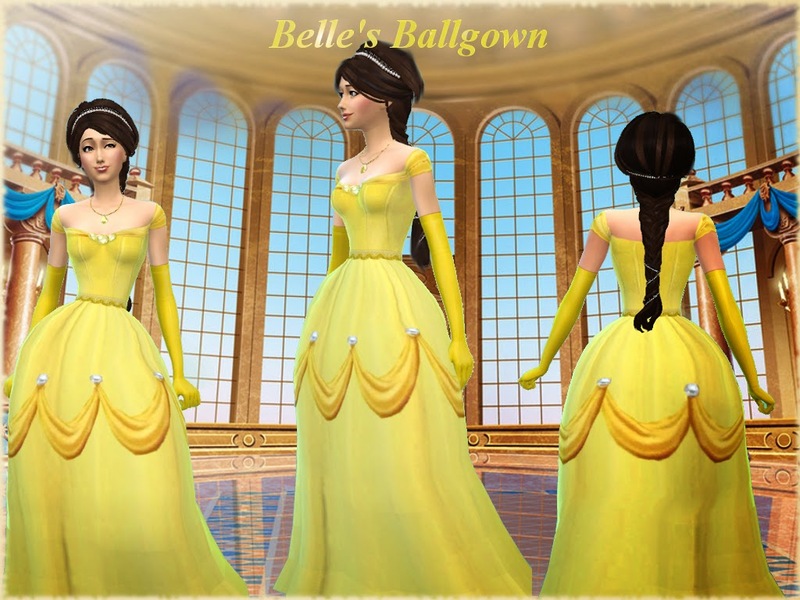 The hair is a conversion by mocka-sims: you can get it here ! The necklace is by me at TSR: you can get it here .